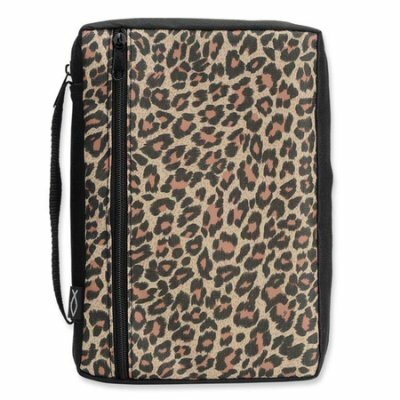 Finding classy and well-made Bible covers is surprisingly difficult, even on Amazon. Christian Book Distributors fares a little better. But you still have to wade through some, uh, options. But what if she wants the eagle cover? Plain canvas would be just fine. 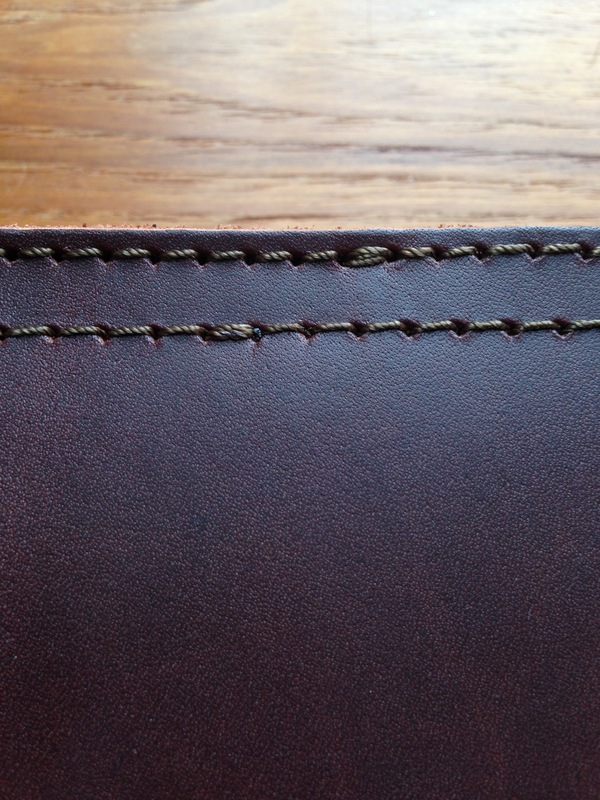 Full grain leather? Even better. 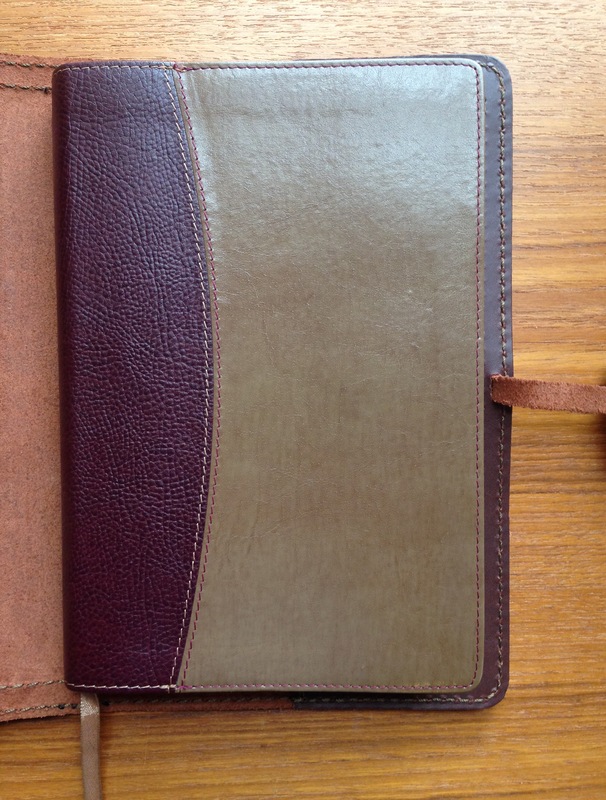 That’s the Leather Bible Cover from Saddleback Leather Company. No, not that Saddleback. This one. 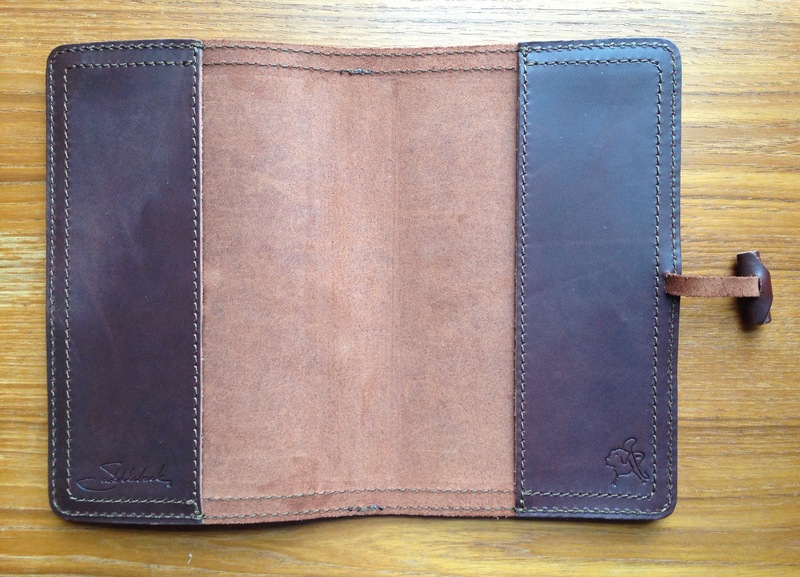 Saddleback’s cover comes in four color options: Tobacco, Dark Coffee Brown, Black, and Chestnut (pictured above). 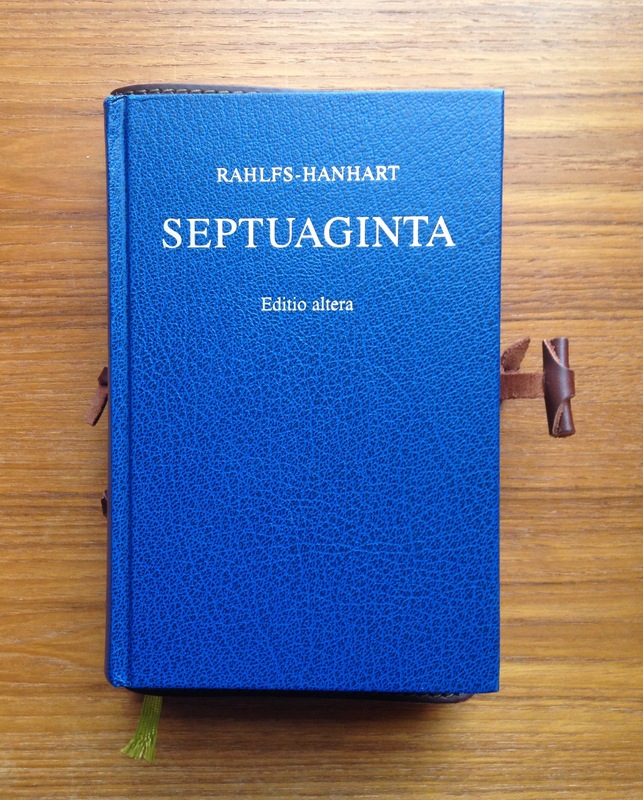 That’s the UBS5 Greek New Testament, which, as you can see, is a little short for the cover, but otherwise is a great fit. It looks, feels, and smells delicious. No complaints at all on the appearance, construction, design, and feel of the thing. Top-notch. 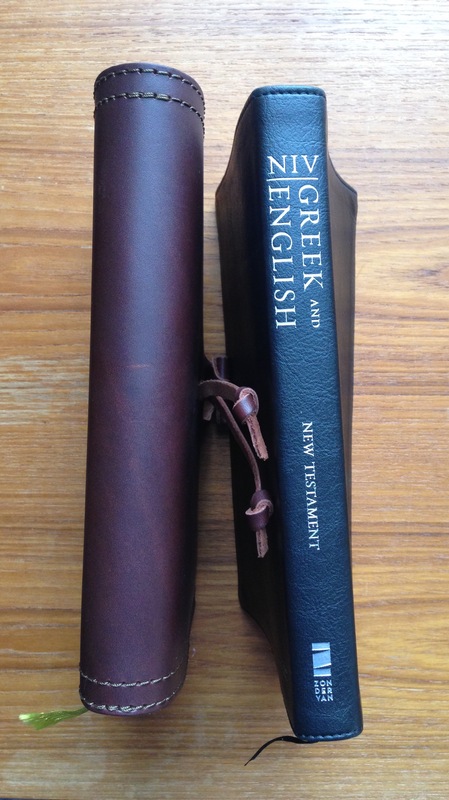 And it gives you the dimensions of the (opened) cover: 12 ½” W x 9 ½” H.
However, I think it’s fair to ask: how many people buy a leather Bible cover before buying a Bible? 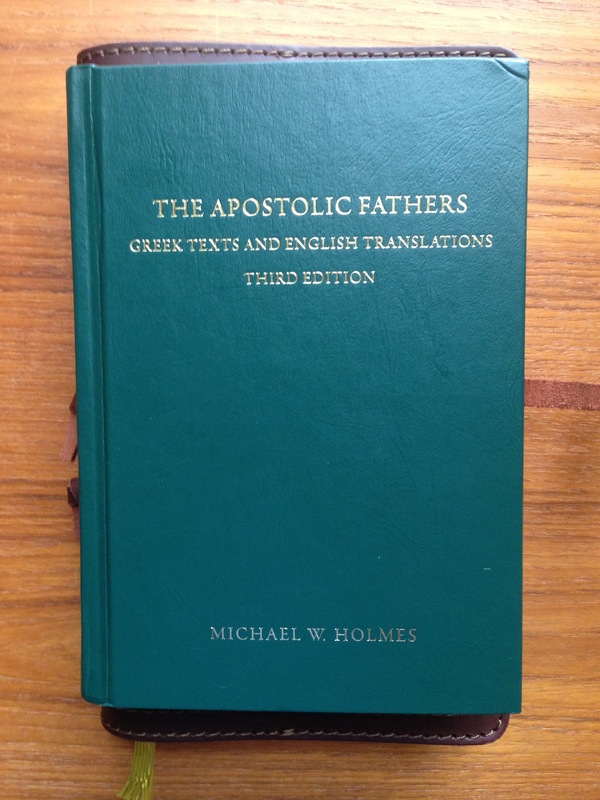 Usually you realize that a certain Bible has become your mainstay: through 52-week sermon series on Romans (chapters 1 and 2), through holidays and family reunions, through major life events, through years of semi-failed reading plans… and then you go get a cover worthy of the Bible. Saddleback currently offers just this size, so you’re limited in your options. 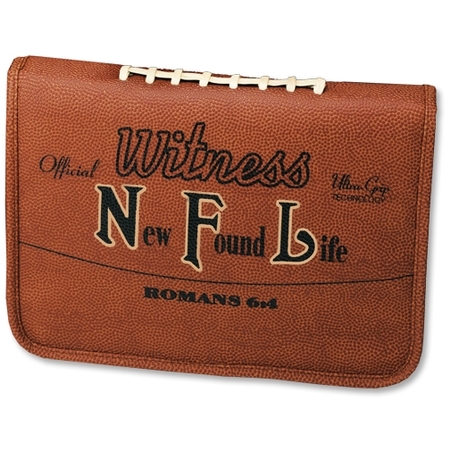 This cover is nowhere near big enough to work for the kind of Bible many folks would want to put into a leather cover: a Study Bible. 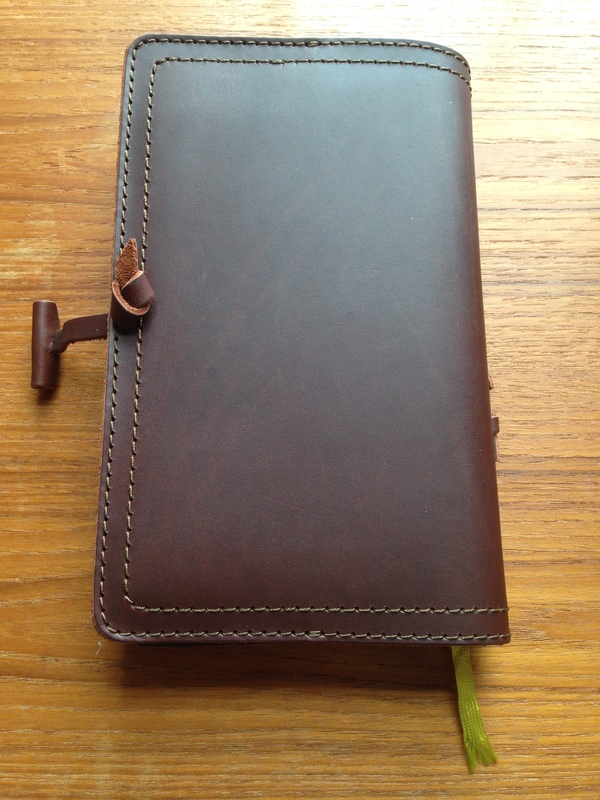 However, user reviews indicate this beautiful cover is good for slimline Bibles (ESV, NIV, NKJV). And the product page is clear along these lines, so you just have to be sure you know what you’re getting. 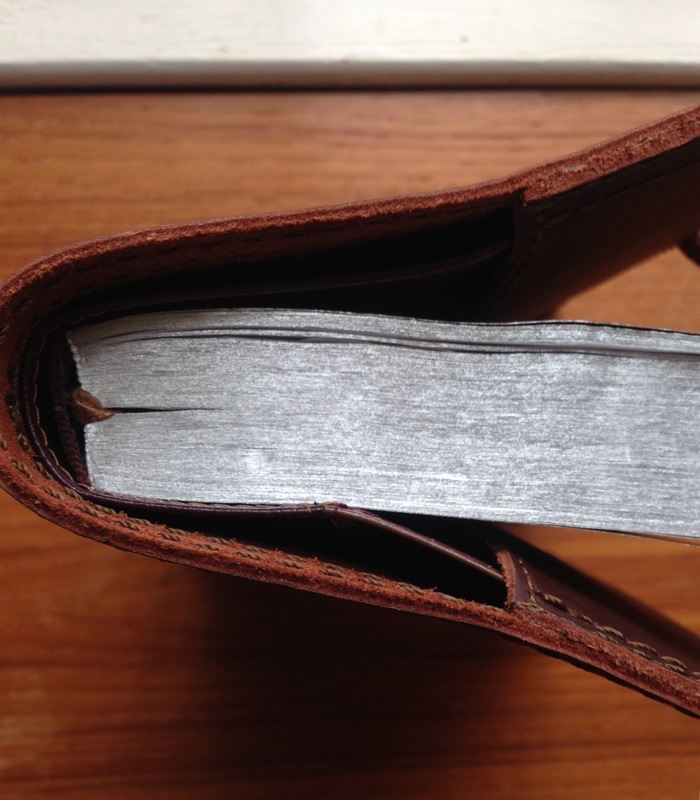 In fact, this was a real downside to the cover–this Bible and a small hardbound notebook both got bent in my efforts to wedge them in. I didn’t push too hard, but you really have to be sure your Bible is small enough for this thing to work. 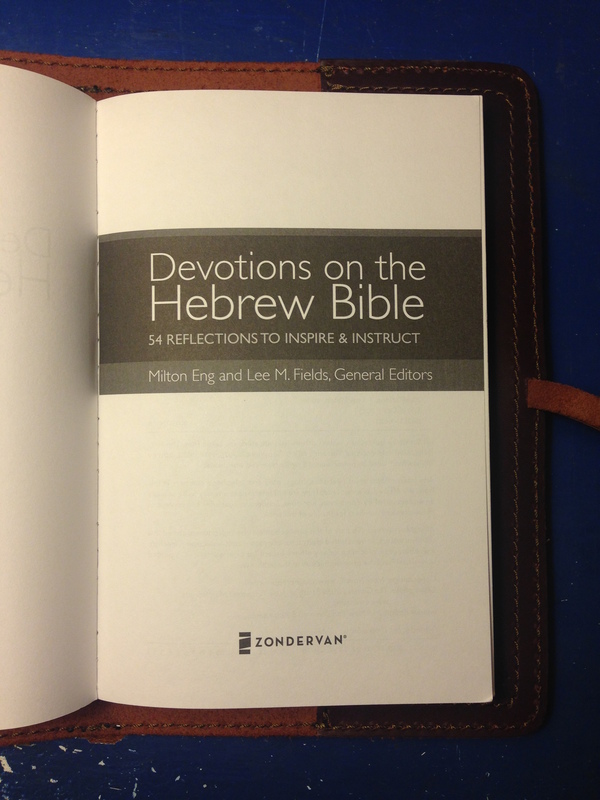 Again–the product page is clear here, but one might wish not to have so many misses in matching beloved Bible to beautiful cover. 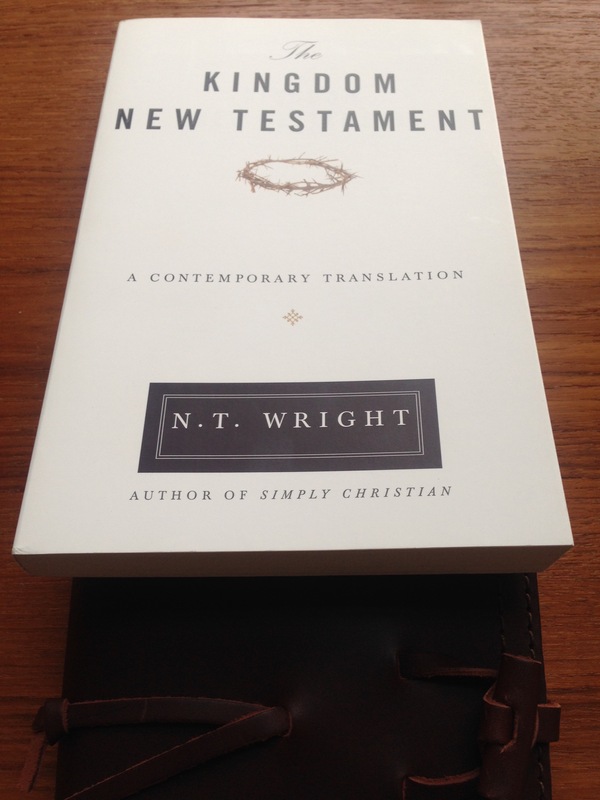 I wish I had more to contribute to what needs to be a running list somewhere on the Saddleback Website of “Bibles that fit this cover.” My Greek New Testament has a happy home now–and smells really good. I hope Saddleback will consider expanding its sizing options. In the meantime, if the fit is right, it’s hard to imagine a nicer cover. 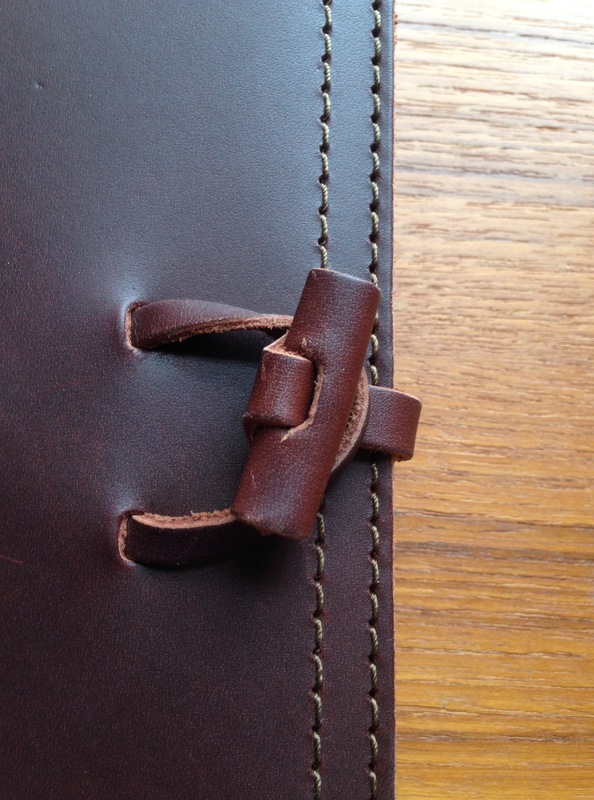 Saddleback uses the best leather, and their workmanship is excellent. People who buy from them tend to buy more than one item over the course of a lifetime. 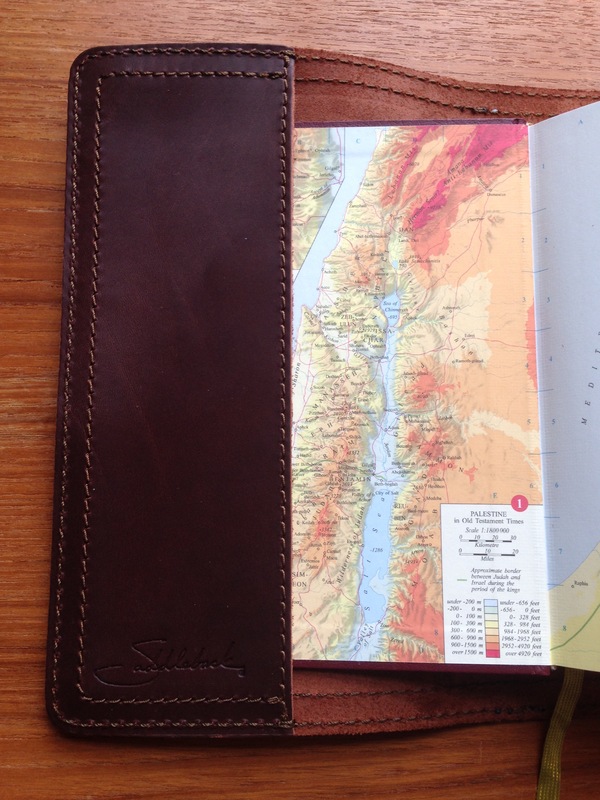 Saddleback’s site is here, with a ton of products that will make you want to “go leather or go home” (I hope I’m not giving anyone any Bible cover phrasing ideas). 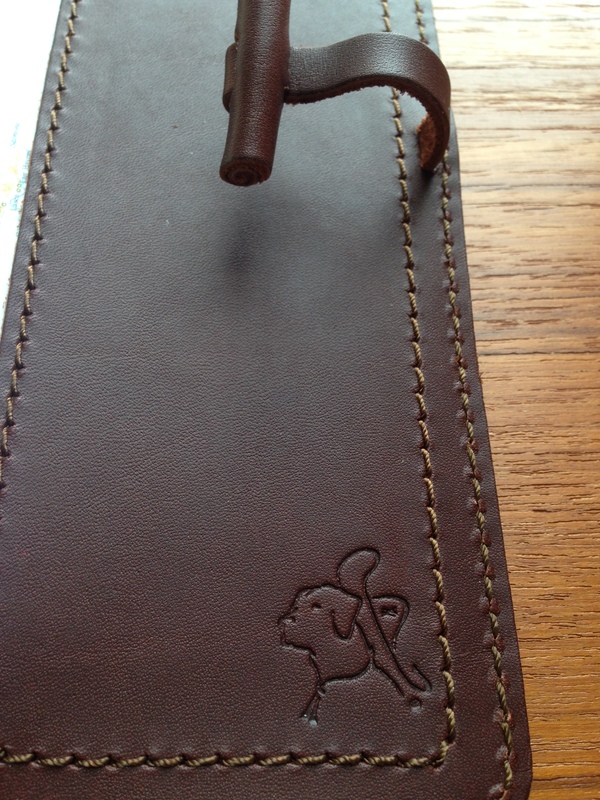 You can also check out my review of their pen/sunglasses case. 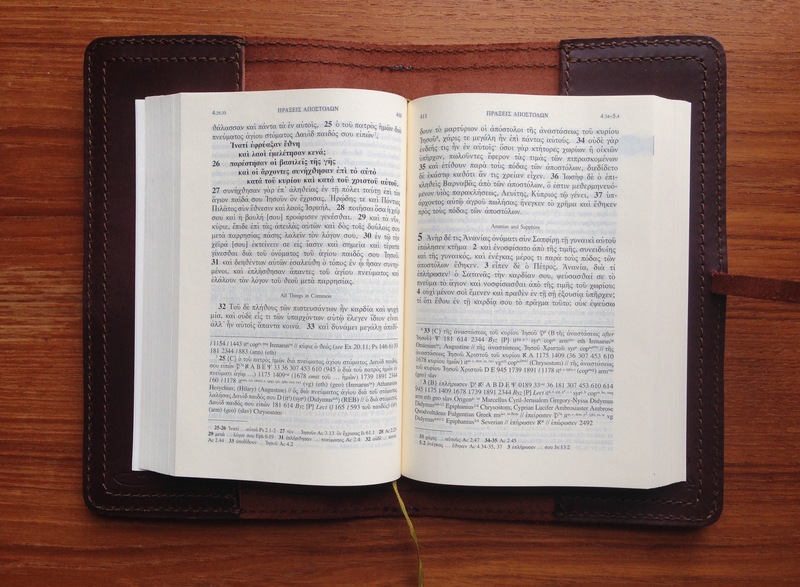 The Leather Bible Cover (reasonable retail price of $49) is here. 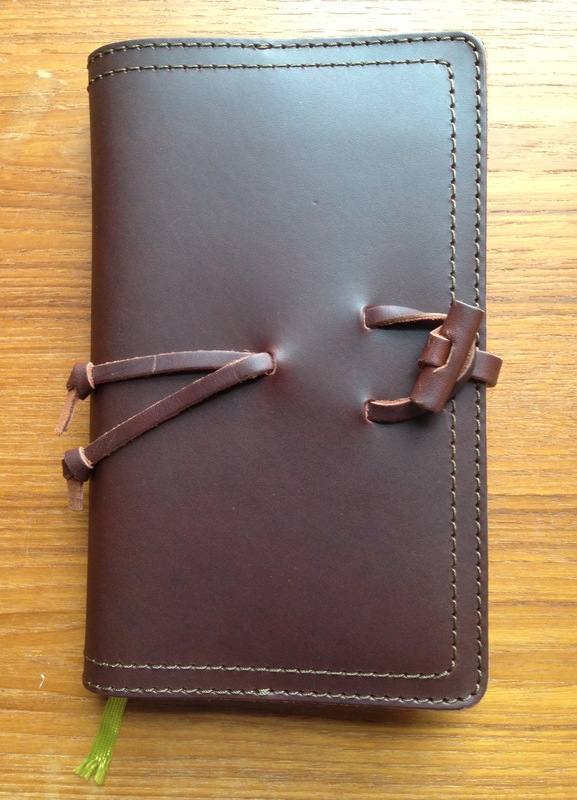 Many thanks to the awesome people at Saddleback Leather for sending the Bible cover review! I’m really grateful they sent it, and I would have been embarrassed had anybody seen me rip into the UPS package the way I did when it arrived… though that did not influence the objectivity of the review.